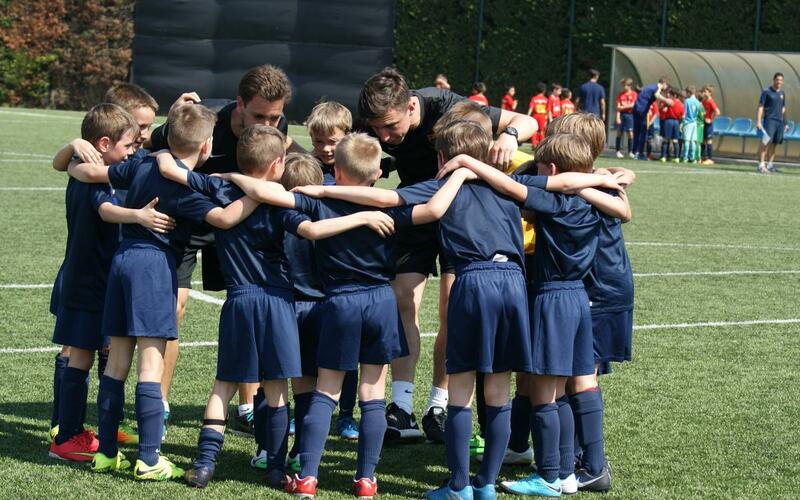 A quartet of FCBEscola teams in Warsaw, Poland, got off to a hot start in their first season taking part in official competition. After 10 games, three of the teams are in first place and one of the teams is in second. Perhaps the most impressive team this far has been the Under-9 team, which clinched the Under-10 league title — they were the youngest team in the league — with two games still to play. They ended up winning all 10 games they played while scoring 105 goals and conceding just 14. The same team finished fourth at last spring’s FCBEscola International Tournament. The FCBEscola Warsaw’s Under-10 team, which played in different division, also won its league with a perfect record: 10 wins in 10 games. The Under-11 team also won their league with two games to play, finishing the season with 9 wins and a draw. The Under-12 team finished its league in second place, with six wins, three draws, and one loss.